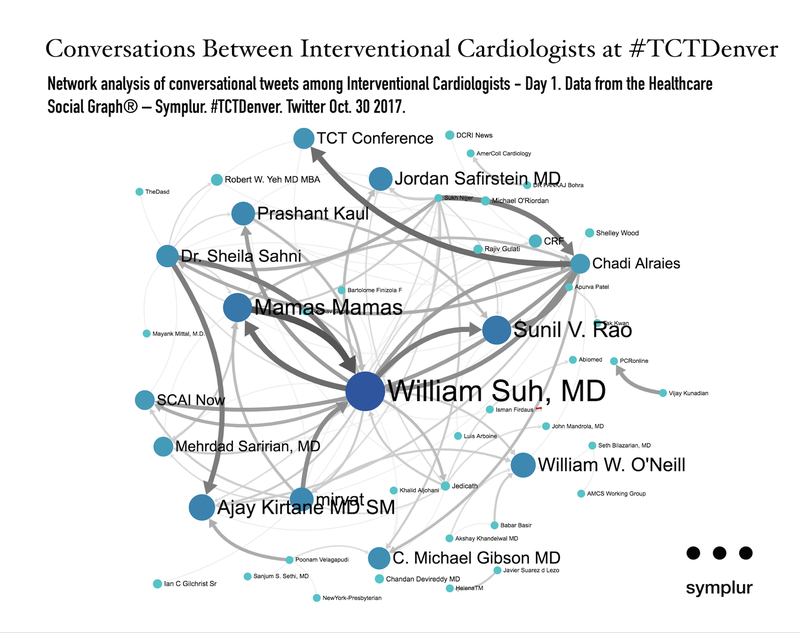 Network analysis of conversational tweets among Interventional Cardiologists – Day 1. Data from the Healthcare Social Graph® – Symplur. #TCTDenver. Twitter Oct. 30 2017.